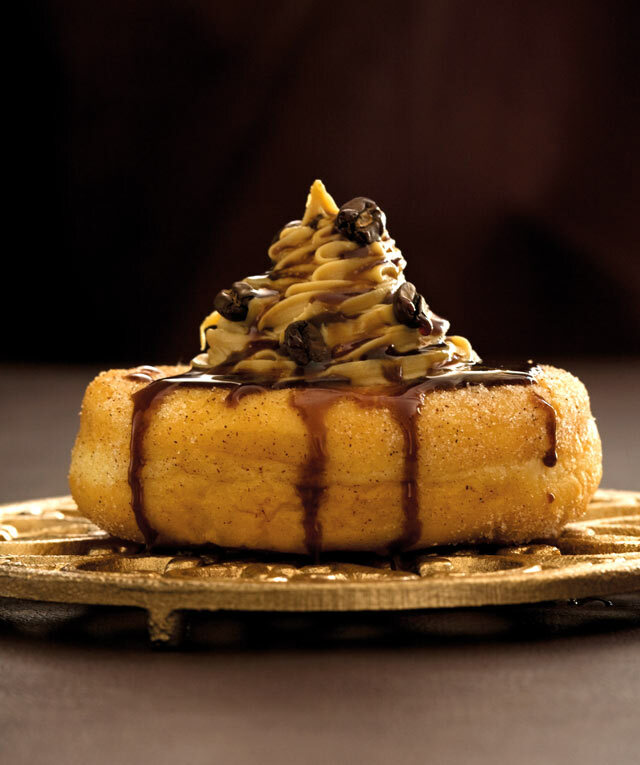 A quick and quirky take on a delicious combination – coffee and doughnuts. Heat cream and espresso and pour over white chocolate. Chill until set before whipping until thick and creamy. Place in a piping bag and pipe into the centre of each doughnut. Mix the hot espresso, sugar and cardamom and drizzle over the doughnut dessert.